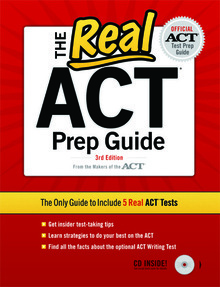 At this site you will find information to help you register for the exam, be prepared for the test day, and even ACT Practice Tests you can take to prepare for your test day. Students who are eligible for free/reduced lunch program can receive a fee waiver form from Mrs. Braucksieck in the Guidance office. SAT I: Critical Reading, Writing and Mathematics. The SAT is a globally recognized college admission test that lets you show colleges what you know and how well you can apply that knowledge. It tests your knowledge of reading, writing and math — subjects that are taught every day in high school classrooms. Most students take the SAT during their junior or senior year of high school, and almost all colleges and universities use the SAT to make admission decisions. SAT Subject Tests: 20 subject tests to choose from! Some colleges also use Subject Tests to place students into the appropriate courses. Based on your performance on the test(s), you could potentially fulfill basic requirements or receive credit for introductory-level courses. Some colleges require or recommend that you take SAT Subject Tests. In addition, you can enhance your application, demonstrate knowledge you’ve gained outside the classroom, and potentially place out of introductory courses. At this site you will find information to help you register for the exam, be prepared for the test day, and even SAT Practice Tests you can take to prepare for your test day.